Good directional signs are unobtrusive, out of sight until you need it, and always there when you do. Sequoia Signs & Graphics specializes in designing and manufacturing high-quality custom directional signage for businesses and residents in the East Bay area. Additionally, our Sign Audit service can help you evaluate your on-site signage while providing feedback and solutions to increase the ease of wayfinding at your property. A well-designed directional sign balances clear text and simple icons in order to assist with navigation. Visitors, customers, even your own employees may come to rely on good signage in order to more quickly navigate your property. 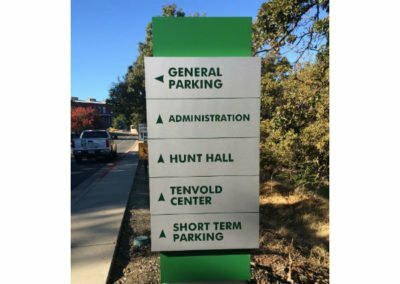 However, while the principles behind good wayfinding signage are simple, designing an effective, high-visibility, high-contrast sign that eliminates uncertainty still requires experience and careful consideration. Our design experts will take into account the distance between the sign fixture and the viewer, the speed of the viewer, available lighting, and other considerations while helping to design and finalize your order. And beyond these functional considerations, we can also get creative and work with you to come up with signage that is cohesive and fits seamlessly with your brand or your property’s style, complementing your property without sacrificing effectiveness or clarity. Well-executed signs are built with more than just a great design. They also require solid construction from materials able to stand the test of time. 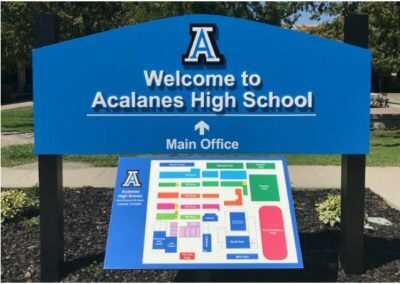 By using a variety of materials including aluminum, steel, acrylic, and HDU, we are able to guarantee that your news signs will keep looking great for years to come. You might be surprised just how much new signage could benefit your property. If you operate a business consider arranging a Sequoia Signs & Graphics sign audit, in which our team members visit your facilities to help you determine how your signage might be improved to increase your operational efficiency. 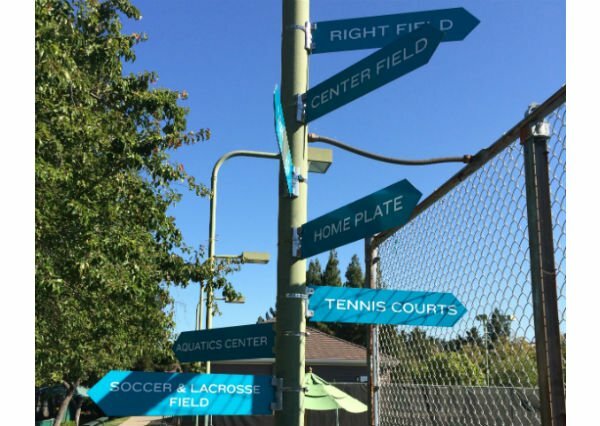 Have any questions about Custome Wayfinding Signage? Call us today, or click here to fill out the form and we will contact you as soon as possible.